We read, that “great multitudes came to him, having with them the lame, blind, mute, maimed, and many others.” Many of them, no doubt, had journeyed many miles, and gone through great fatigues. Nothing is so difficult and troublesome, as to move sick people. But the hope of being healed was in sight. Such hope is everything to a sick man. We know little of human nature, if we wonder at the conduct of these people. We need not wonder at all. They felt that health was the greatest of earthly blessings. They felt that pain was the hardest of all trials to bear. There is no arguing against sense. A man feels his strength failing. He sees his body wasting, and his face becoming pale. He is sensible that his appetite is leaving him. He knows, in short, that he is ill, and needs a physician. Show him a physician within reach, who is said never to fail in working cures, and he will go to him without delay. Let us however not forget that our souls are far more diseased than our bodies, and learn a lesson from the conduct of these people. Our souls are afflicted with a malady far more deep-seated, far more complicated, far more hard to cure than any ailment that flesh is heir to. They are in fact plague-stricken by sin. They must be healed, and healed effectually, or perish everlastingly. Do we really know this? Do we feel it? Are we alive to our spiritual disease? Alas! there is but one answer to these questions. The bulk of mankind do not feel it at all. Their eyes are blinded. They are utterly insensible to their danger. For bodily health they crowd the waiting-rooms of doctors. For bodily health they take long journeys to find purer air. But for their soul’s health they take no thought at all. Happy indeed is that man or woman who has found out his soul’s disease! Such an one will never rest until he has found Jesus. Troubles will seem nothing to him. Life, life, eternal life is at stake. 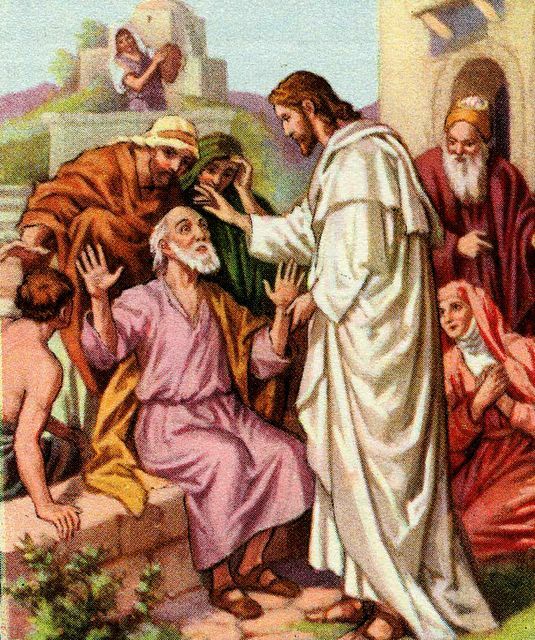 He will count all things loss that he may win Christ, and be healed.